A well-defined inframammary crease and an appropriate areola to inframammary crease distance is arguably the most important component of a pleasing and aesthetically correct breast appearance. 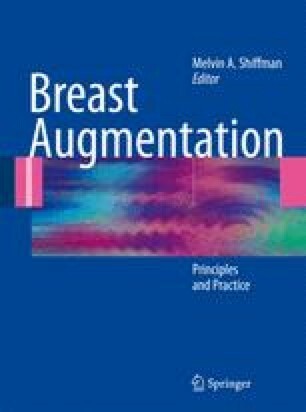 Failure to preserve the inframammary crease during breast augmentation surgery creates an unacceptably abnormal breast profile often referred to as a “double-bubble” appearance or “Snoopy deformity,” which patients find very disturbing The authors present a technique to reconstruct the inframammary fold. A crease ligament or other condensation of Scarpa’s fascia and the posterior capsule of the breast constitutes a well-defined anatomical landmark that can be reconstructed.